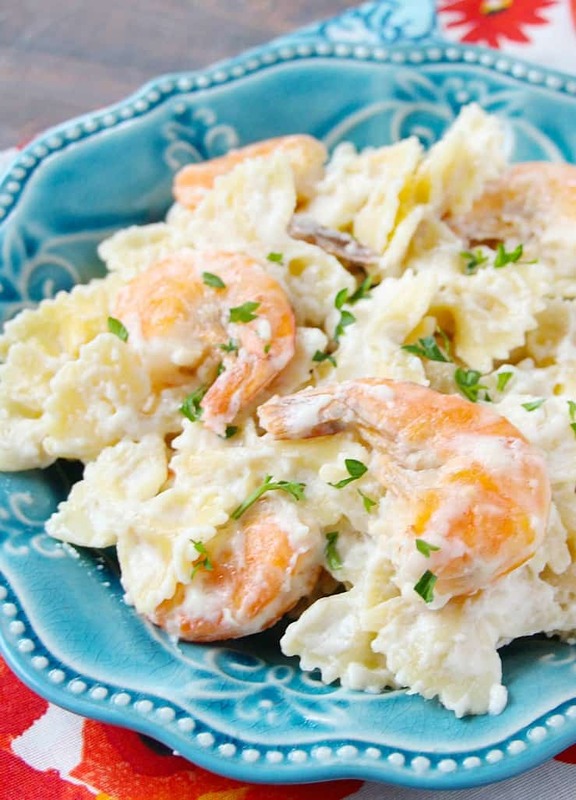 Shrimp Scampi in 15 minutes- A Delicious One Pot Wonder! 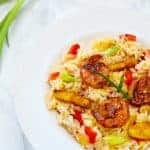 Pasta is an easy meal that can be made into a one pot dish for quick weeknight dinners! 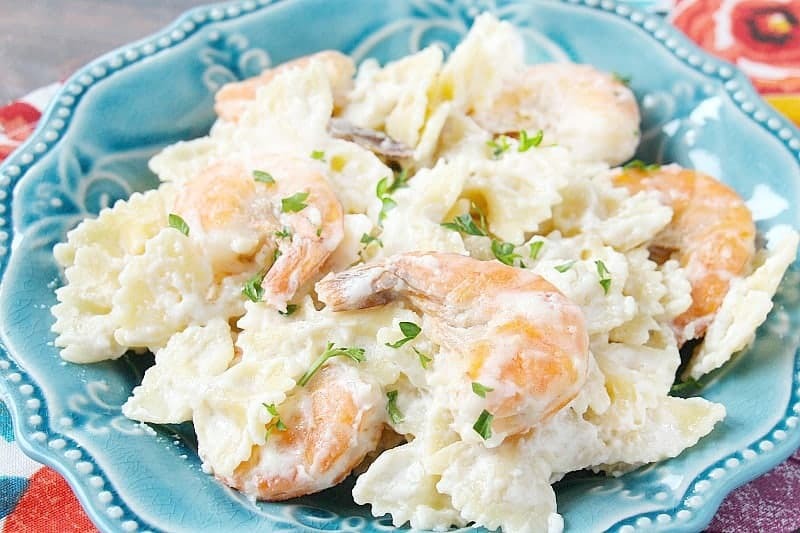 This shrimp scampi recipe is sure to please! 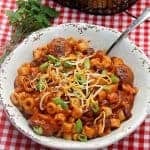 One pot dishes are taking over the internet and with good reason, they are quick and easy! 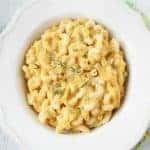 Recipes that are quick and easy do not have to be so simple that they sacrifice flavor though. 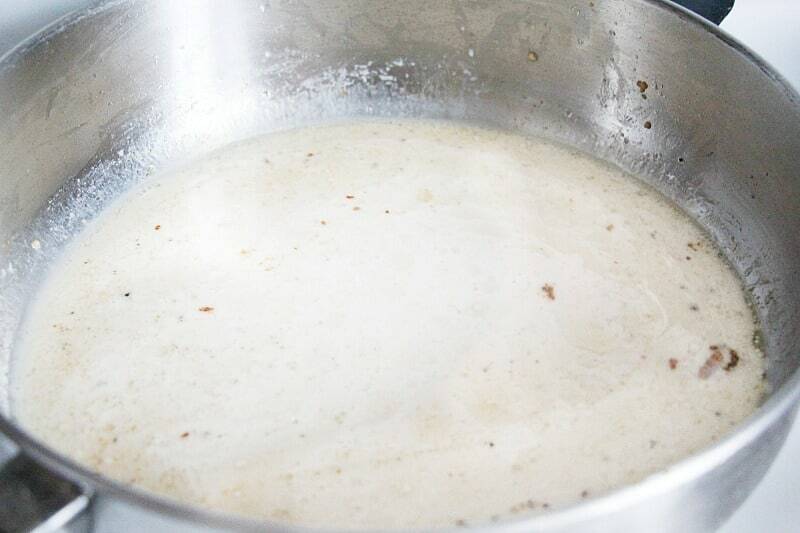 Using tricks such as adding chicken stock in place of water and using fresh herbs instead of dried will help take your dish over the top with no additional effort. 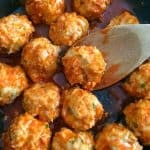 Another way to get added flavor when cooking, which is absolutely personal preference…. is to leave the shells on the shrimp. Here in Maine I have fresh new gulf shrimp available with really soft shells so for us we like to peel them as we eat. 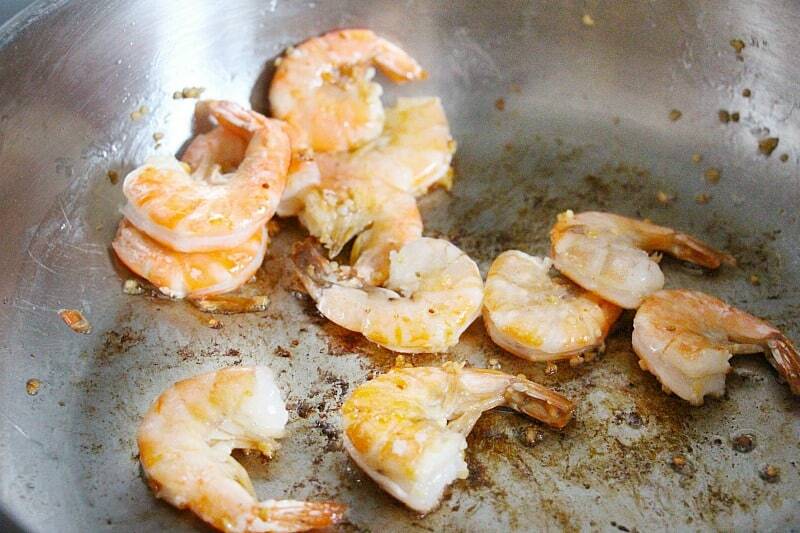 For this recipe you can certainly cook your shrimp already peeled. Cook the pasta according to package directions. Drain, rinse and set aside. Cook until the shrimp has turned pink and is cooked throughout, approximately 3 minutes. Deglaze pan with white wine, stirring to remove all the little bits from the pan. Add milk to skillet and bring to am boil, whisk in cornstarch slurry. When sauce starts to thicken, reduce to simmer. Stir in the Parmesan cheese, salt and pepper. Taste and adjust seasoning. Add in the pasta and shrimp, stirring to coat. Right before serving, drizzle the lemon juice over the whole skillet. 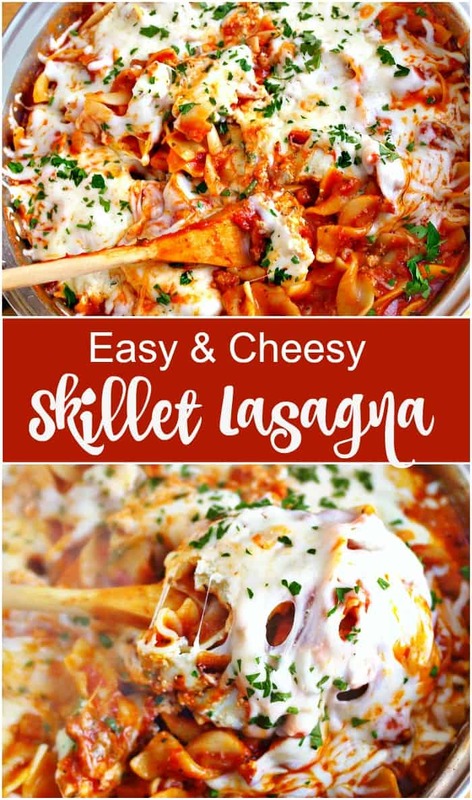 Looking for another easy, fantastic Try our easy Skillet Lasagna!